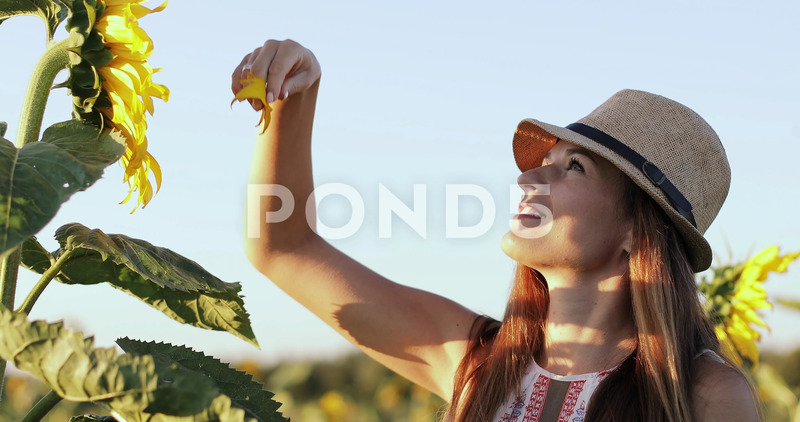 Happy Woman In A Hat Is Touching A Yellow Sunflower With Seeds. Description: Happy woman in a hat is touching a yellow sunflower with seeds. Large field in summer. Light flare, lens glare.